Horses are popular in Connecticut. 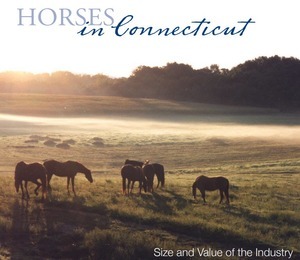 A 2002 study by the University of Connecticut estimated there were over 43,000 horses in Connecticut. Each town in Connecticut has its own zoning laws. The website for zoning laws in Westport is http://www.westportct.gov/default.asp according to the Connecticut Horse Council. For the zoning http://www.cthorsecouncil.org/legislation/zoning.